Paddle Tennis Courts are now open – with freshly resurfaced courts! Anyone up for mixed doubles? A slight variation from the familiar game of tennis, platform tennis covers less of the court and is played with a paddle instead of a racquet. As for the point system, it is quite similar to tennis except you only get one serve and you are allowed to play the ball off the fences. We offer two heated, well-lighted courts from 9 a.m. to 9 p.m., located 100 yards south of the Telluride Ski & Golf Club House at The Peaks Resort & Spa. A small clubhouse with equipment, lockers and restrooms is available. 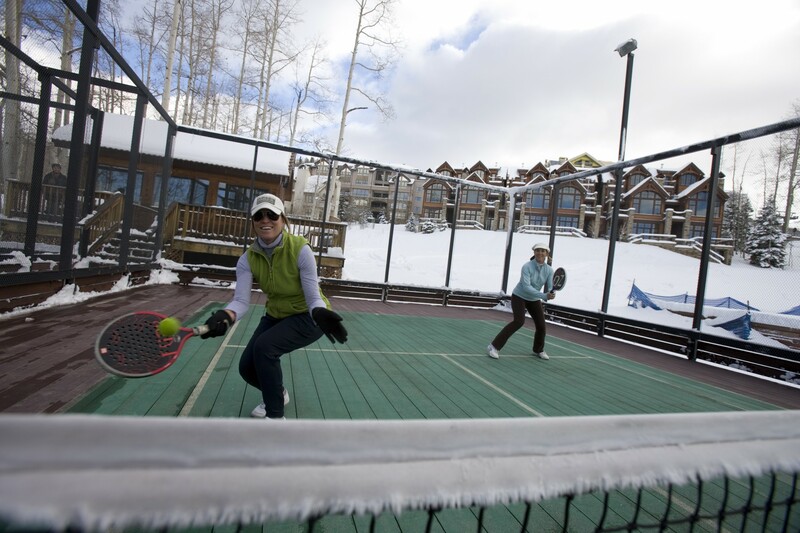 In the wintertime, you may access the platform tennis court from The Peaks ski trail, 200 yards from the top of Lift 1. Reservations are not required, but a code is necessary for access so please give us a call. For additional platform tennis rules, visit the official American Platform Tennis Association website.